Product prices and availability are accurate as of 2019-04-23 16:39:09 EDT and are subject to change. Any price and availability information displayed on http://www.amazon.com/ at the time of purchase will apply to the purchase of this product. Cooking in your toaster oven has never been easier! With the OvenStuff toaster oven bake & roast pan, you can roast meats, bake brownies, or even make a small lasagna. OvenStuff bakeware comes coated with a DuraGlide Plus nonstick finish, which eliminates the need for cooking sprays and oils while stopping food from sticking to the pan. Plus, our pans are designed with durable steel construction that heats evenly for optimal baking results. 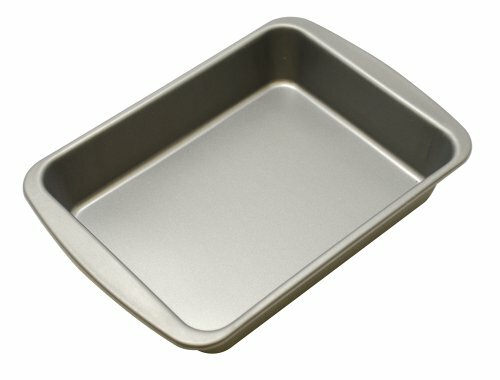 Our personal size toaster baking pan measures 8.5” by 6.5” and is proudly made in the USA. For best results, hand wash and dry thoroughly.